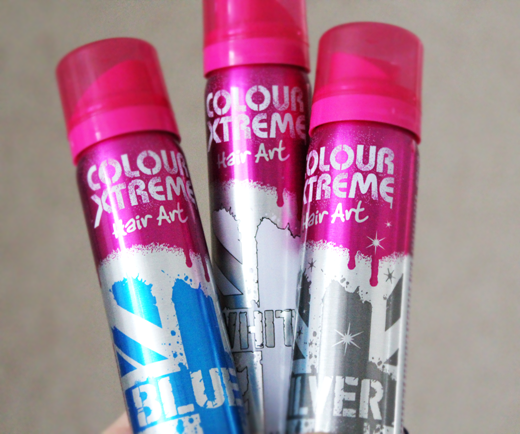 Blonde, red, dark purple, strawberry blonde and brown - those have been the colours of my hair so far - and now I can add BLUE to the list thanks to these coloured hairsprays from Colour Xtreme that I've been looking forward to try out. I do have quite the fascination with wigs and the possibility to change your hair colour/style after how you're feeling from day to day [yes, yes, even though my hair has now been blonde for the past 12 years] so the Blue, the White and the Silver were my picks when doing some online shopping a while back and the Blue definitely is my favourite so far since you really get the colour you're expecting.. and if you prefer it lighter then just add some of the White spray on top. The White is also great for spraying onto areas which may need some light if your base colour would happen to get a little patchy or if, let's say, you're going for a blue or pink dip-dye and want the colours to be baby blue and baby pink. The Silver one was a joke and I am genuinely chocked that this is even allowed to be on the market. No colour whatsoever and the glitter was microscopic. So is there a big difference - judging on quality and how it looks when applied to the hair - from those kinds of coloured hairsprays you can get from places like masquerade costumes stores? No.. I wouldn't really say it is. It gives the same kind of texture to your hair - you know that kind of straw-y feel? Yeah, that's it. And these, too, can stain your clothes even if only temporarily so I'd say the best way to wear them is with your hair up. Am I disappointed they were not more improved? Yes.. but not to the point where I wouldn't buy them again; I most definitely will - both for personal use and for my make-up artist kit. Being a 90's kid I'm still a bit weak for some of the 90's trends and to just swirl your hair up in two buns spraying them pink and orange are one of those things that just makes everything a little more fun. I love it. You simply spray it onto your hair with a 20-30 cm distance and please use it BEFORE putting on your makeup (that is if you're using it all over as I did). 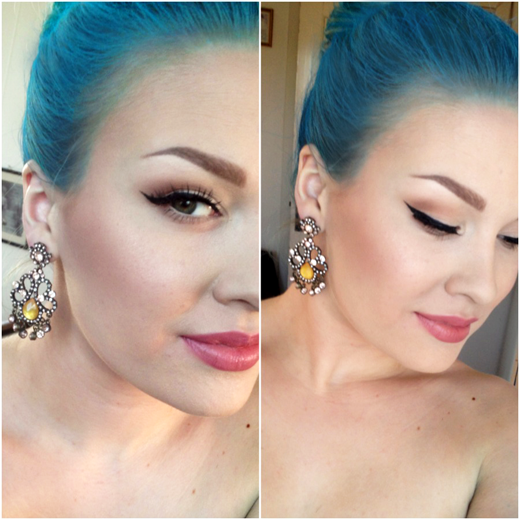 AND yes, the blue one IS apparently showing up on dark hair as well! Wohoo! For Swedes, Eleven.se has got the lowest price and is where I bought mine. 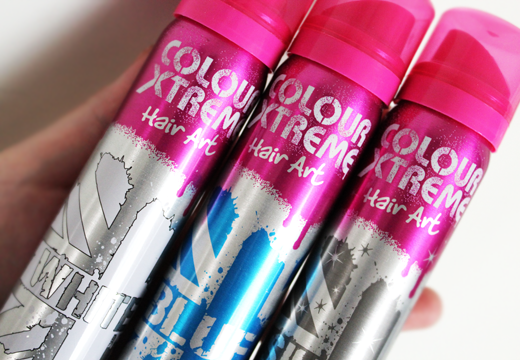 Abroad you can find them at Boots, Urban Outfitters, ASOS and other websites along with their own colourxtreme.co.uk if you're in the UK. du är sååååå himla vacker!